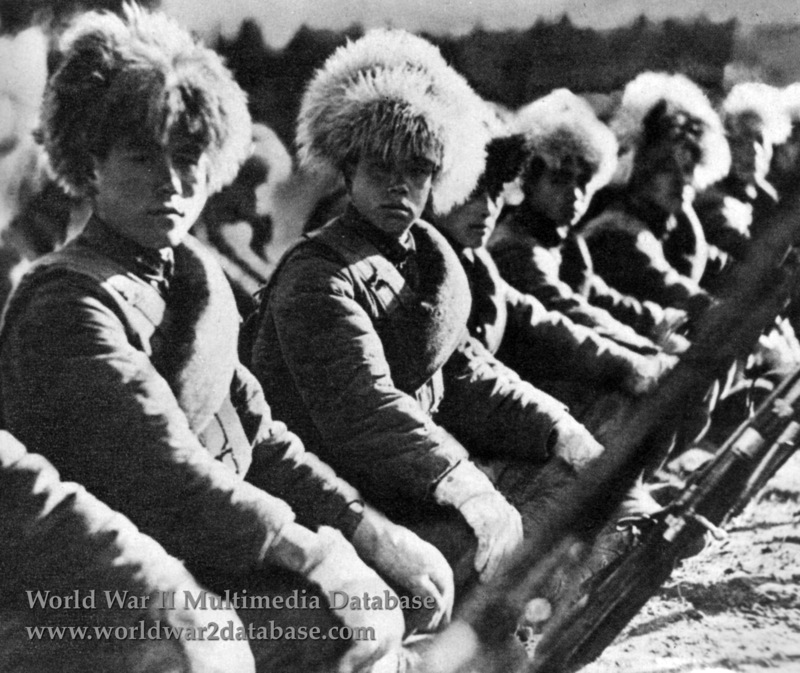 Fur-clad Japanese soldiers of the Kwantung Army pose for a publicity photo during a forced march. The Kwantung Army was the premiere unit of the Imperial Japanese Army during the thirties. Officers like General Hideki Tojo were appointed to high ranking posts in the Kwantung Army before serving on the General Staff. The Kwantung Army was beaten by the Soviet Red Army during the border clashes at Nomonhan and in August 1945 when the Soviets invaded Manchuria. By that time the best of the Kwantung Army had been expended fighting the Americans in the Pacific.